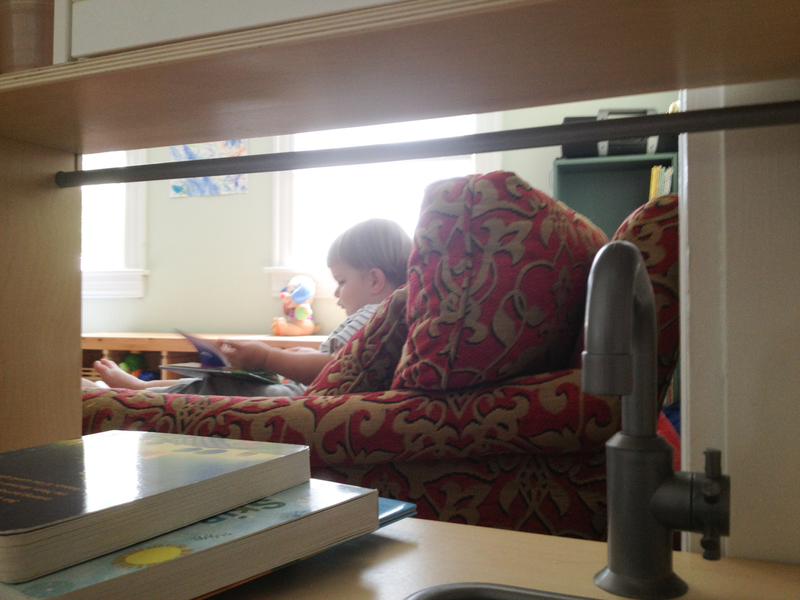 I love nothing more than to turn the corner in the playroom to spy with my little eye you turing the pages of a book. 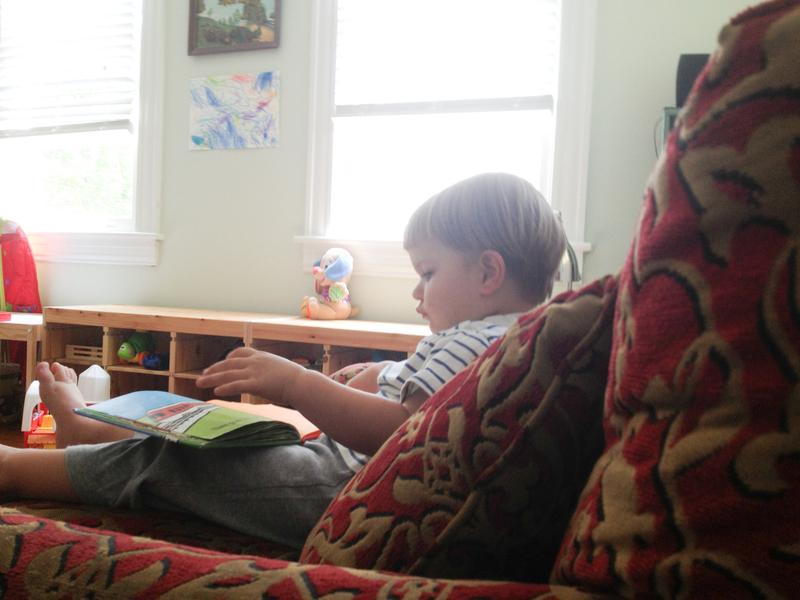 My heart opens more when you spy with your little eye, me taking a picture of you, and ask me to read with you. I am even more honored when you “read” the book to me. The book is about trains of course!